Dr. Nomita Chandhiok is Senior Deputy Director General/Scientist ‘G’ at the Indian Council of Medical Research, the apex research organization and advisory body to the government of India. She is the programme officer for Women’s Health and HIV prevention technologies at the Council and responsible for coordinating and promoting programmatically relevant research in these areas. 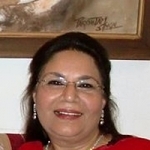 Specializing in Obstetrics and Gynecology, she has been involved in conducting multicentre clinical evaluation of newer reproductive health technologies and clinical and operational research studies in the field of sexual and Reproductive Health since 1981. Her keen involvement in issues related to the sexual and reproductive health of women and adolescents has led to several studies addressing the high maternal mortality and morbidity in India being translated into policy. Dr. Chandhiok is a member of several international advisory groups, professional bodies and Task Force committees of various scientific organizations and has over 60 publications in peer reviewed journals. To determine the changes in the prevalence andkey determinants of timely initiation of complementary feeding among infants in India, secondary data analysis of two rounds of India’s National surveys conducted in the year 1992-93(NFHS-1)and 2005-06 (NFHS-3) was carried out. Early and timely introduction of complementary feeding at four and six months of age respectively are taken as the study variables and examined against demographic, socio-economic and health service availed variables using multinomial logistic regression along with multiple classification analysis.The early introduction of complementary feeding among 39% infants in NFHS-3 as compared to 30% in NFHS-1 is indicative of a worsening trend. Overall, there is a 10% increase in timely introduction of complementary feeding in NFHS-3 with 54% infants receiving it. Urban place of residence, higher educational attainment of mother, medium wealth index and perceived small size of baby at birth are associated with early introduction of complimentary feeding. Living in urban area, and perceived small size at birth are associated with timely complimentary feeding rates in both the surveys. Mothers being more literate, in non-gainful occupation and belonging to high wealth index were the other predictors associated with enhanced timely complimentary feeding in NFHS-1. While in NFHS-3, in infants of mothers who had availed health services like antenatal/natal care, there was a greater likelihood of timely introduction of complementary feeding.